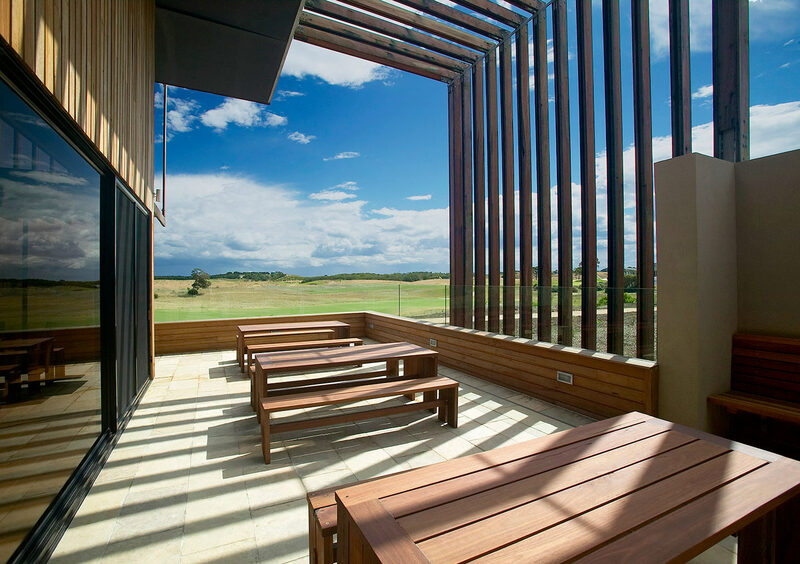 Development around golf courses doesn’t have a famous history, but with Moonah Links Lodges we took a textural, more sympathetic approach. 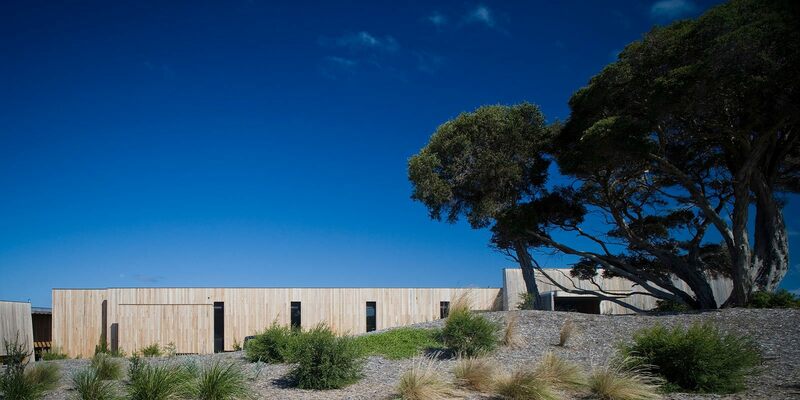 Three individual lodge-style buildings line the first hole of the Moonah Links golf resort on the Mornington Peninsula. 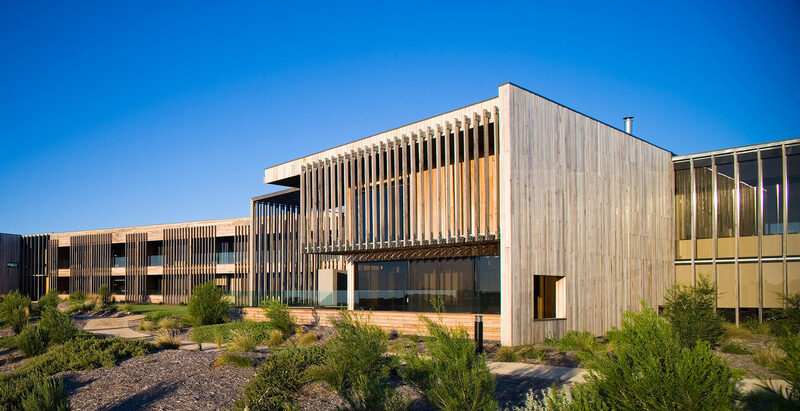 Conceived as carved logs and nestled into the undulating topography and ancient Moonah trees, the predominantly timber pavilions reference the surrounding environment and create a sensitive interface between building, indigenous vegetation and the golf course edge. 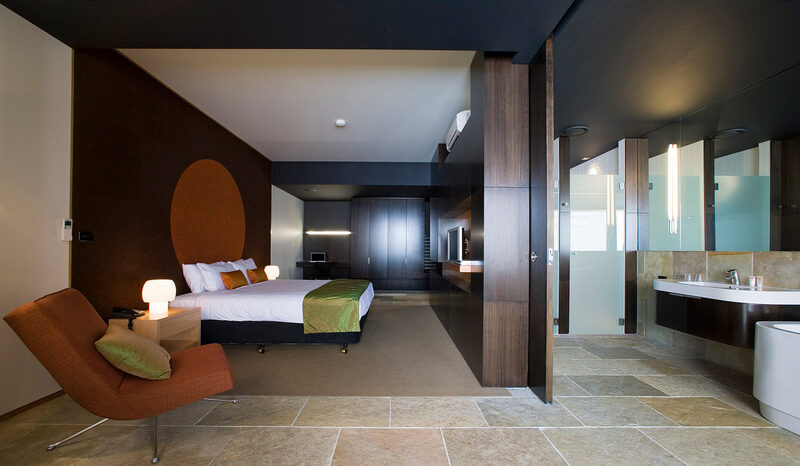 The sculptural timber motif continues inside – Tasmanian oak, both stained and clear-finished, is layered to create carefully detailed joinery that contrasts with feature panels in Tasmanian blackwood. As the interior and exterior become two parts of one whole, the spaces are experienced as habitable sculpture. 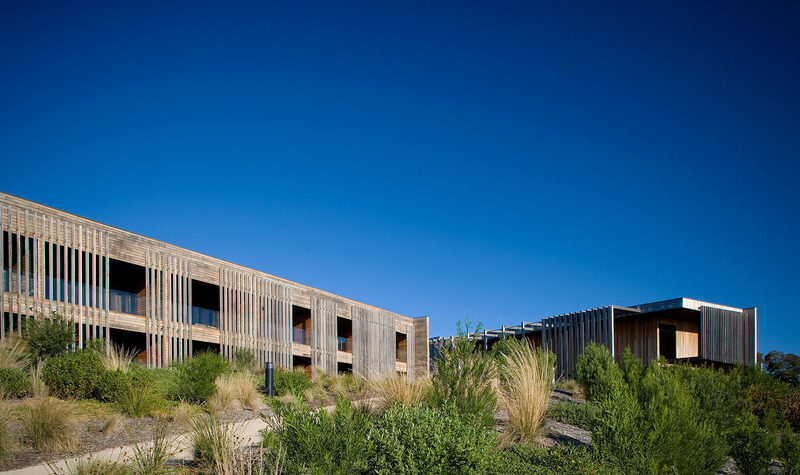 Each of the lodges offers 12 hotel-style suites for conference-goers and golfers, a communal lounge and dining areas connected to flexible meeting spaces. 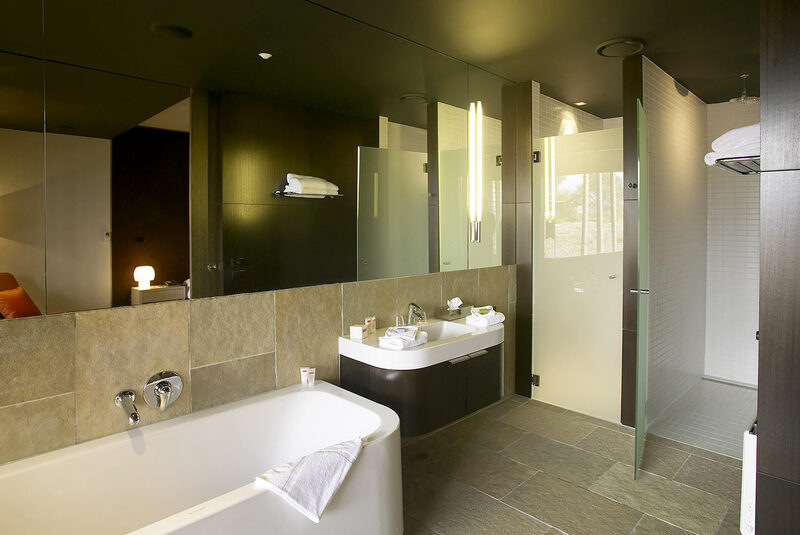 The generously proportioned suites are a luxury offering, each with spa bathrooms and private terraces or balconies. The conference facilities can accommodate numbers from 10 in boardroom configuration to 300 as a cocktail venue. 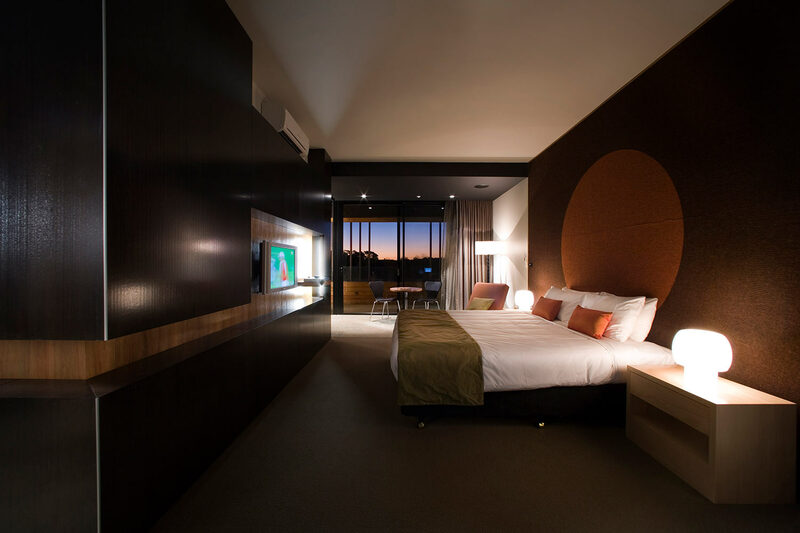 The emphasis is on high quality comfort and golf course views from every room.